I’m not a heavy coffee drinker. I’d honestly probably drink it more, but if I did I’d be a jittery, palpatating mess. But I do like the taste of coffee, and on the weekends it is a guilty pleasure of mine. But it always seems like we make too much, and it kills me to dump it down the drain. Which is how my new favorite drink was born. 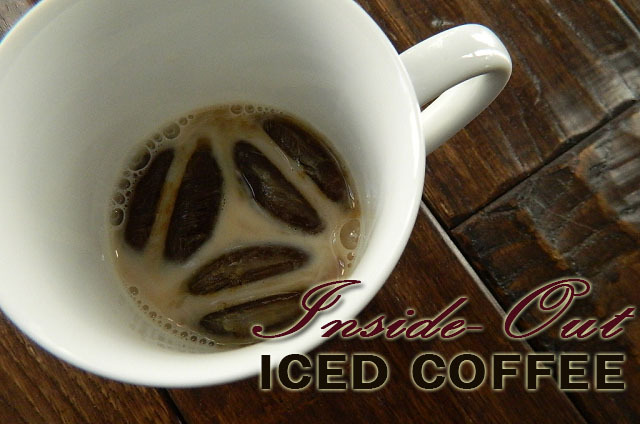 Inside-out iced coffee is a simple concept. I freeze the extra coffee into cubes and save them in bags in my freezer. Then, on certain days when I could use a refreshing, extra “kick” without wanting to drink a whole cup of coffee, I simply pour myself a cup of almond milk and toss a few coffee cubes in it. Instant. Refreshment. Ahhhhhhhh. I can’t even tell you how psyched it makes me that I am beginning this little ritual right in time for summer. That’s it!! Enjoy a little coffee “kick” – without the commitment of a full cup! It doesn’t hurt that you’re being resourceful and saving money, while you’re at it. I know what you’re also thinking: wouldn’t this make for a fan-TAS-tic alcoholic beverage? Why, yes it would! Might I suggest a Kahlua and milk, with a few of these cubes dropped into the glass? Perhaps an espresso-tini? The possibilities are endless! PS! If you already use Bulletproof Coffee, or if you want to try it out, you can get it here. Love this idea!! Sounds delicious! I’m going to try it. Thanks! Omg I LOVE this idea!!!! So simple, right?! I am never wasting coffee again! OH and also, as a follow-up – sometimes I’ll make a shake for lunch in the bullet. 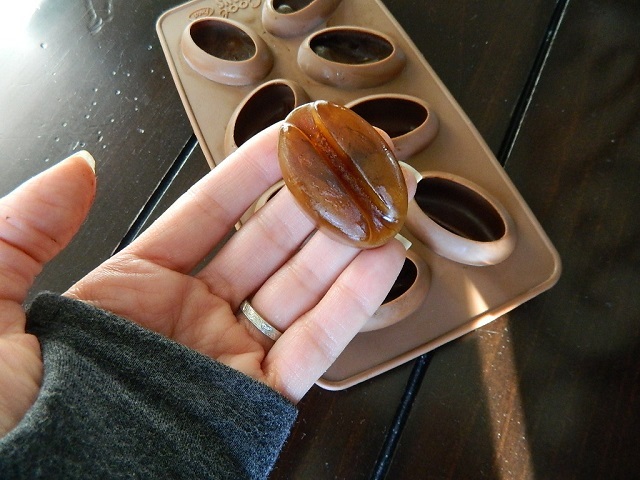 Now, instead of using regular ice cubes, I toss one or two of these in there for a little coffee pick-me-up. I’m loving it! Nice! I had to stop drinking coffee too for similar reasons but I also Love the taste and smell of a well brewed freshly ground batch (or even just the ground canned variety – I’m no true coffee snob). Now I can actually indulge a little without the feeling that my heart is going to take a leap out of my chest. Thanks! Yes! Nothing like the smell of freshly brewed coffee! Hi Ali! I too hate to waste the left-over coffee and it’s so hard to make exactly the correct amount! 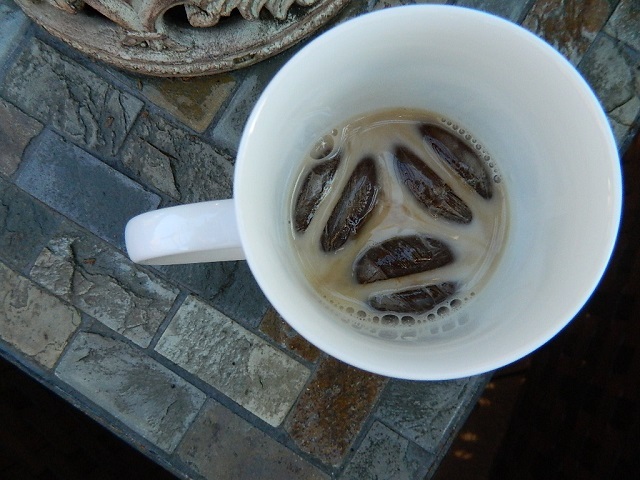 I love iced coffee in the summertime.I just add cream and sugar 😮 and put it in the fridge once the left-over coffee is cooled. 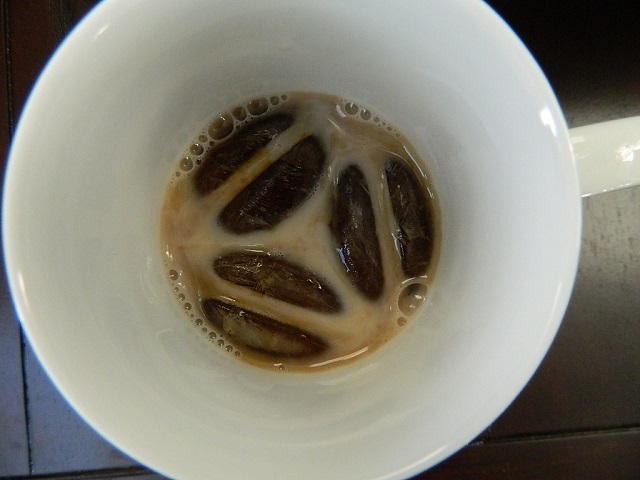 Sometime I make ice cubes with mocha coffee – gives a nice touch as they melt. Love the idea of mocha cubes, Lori! OMG What a great idea! Definitely going to do this. Just need to buy some ice trays. THANKS! Almond milk tastes so gross! Ha! I gotta disagree Luke but this comment made me LOL 😉 Try it in another milk, like coconut or regular! I use my leftovers to make a protein coffee chocolate chip smoothie in the morning. Wonderful! 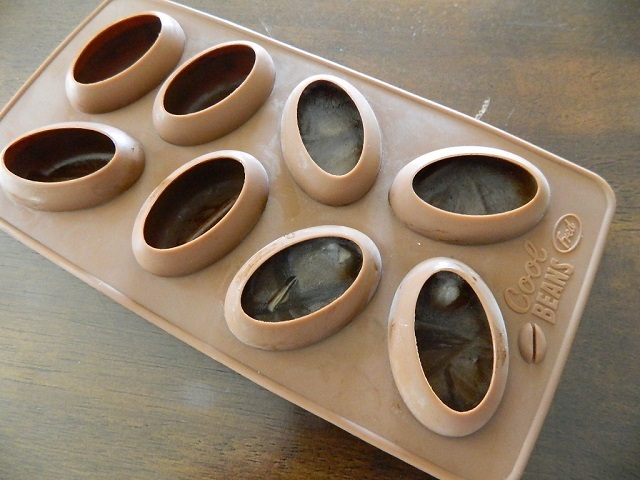 okay-great post, now please tell me about those ice cube coffee bean shaped trays!!!???? Hi, Alessandra. This is a great idea. Here in Italy we have some very good and very expensive coffee, that would be a pity to waste! I myself don’t drink coffee anymore 🙁 cause of tachicardia it use to give me, but Barley coffee everyday. Now we are going to move to US and my husband says I will not find any there. Do you if it’s true? what are the alternatives to coffeine in the US? Thanks! Good to know, Margaret! Thanks!